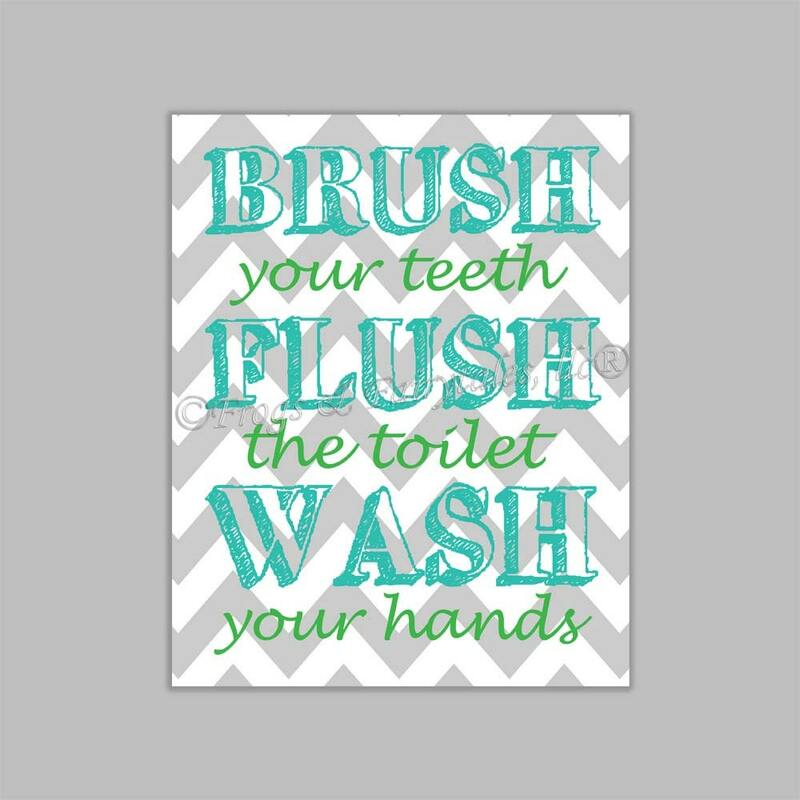 "Brush your teeth, Flush the toilet, Wash your hands" This chevron bathroom canvas wall art print is the perfect addition to your child's bathroom! The print in the listing picture is done in a light grey and white chevron background, with wording in aqua and bright green. You can choose to have it done as seen in the listing example, or choose custom colors to have it done in something different than what is shown. If you choose custom colors, please leave the colors you'd like in the note to seller section of your invoice. We will change them for you, and send you a proof to approve before we print it. This is a gallery wrapped print on canvas. It is printed on matte finish canvas using museum quality inks, and is signed and sealed with a semi-gloss to protect the art from dirt and dust. It is hung with a picture hanger. This print can also be hung with twine or ribbon if requested. If you would like this item shipped outside of the US or Canada, please send me a message with the shipping address and I will quote you a price.